Perhaps the best way to give your young children a lifetime saving and investing advantage is to ensure they are as financially literate as possible, as early as possible in their lives. By indulging their every whim is likely to have the opposite effect. It may pave the way for them to become conspicuous spenders; a wealth-destroying approach to dealing with money. Australian students have mixed results in a just published 2015 OECD study of the financial literacy of 15-year-olds in 15 countries (including 10 OECD members such as the United States, Canada and Italy). Almost 15,000 Australian students participated in the survey. Australia ranks fifth with 15 per cent of Australian students being ranked as high performers. However, there are clear gaps confirmed in the financial literacy of many young Australians with low levels of literacy among lower socio-economic groups including indigenous students. A fifth of Australian students do not reach the baseline for financial literacy – a little below the average for the surveyed OECD countries. The researchers comment that students who did not reach the baseline for financial literacy could, “at best”, distinguish between wants and needs, and make simple decisions on everyday spending. The survey was designed to assess the extent that 15-year-olds have the financial knowledge and skills to “make successful transition from compulsory schooling into higher education, employment or entrepreneurship”. 67 per cent say they will save to buy something if they don't have enough – close to the OECD average. 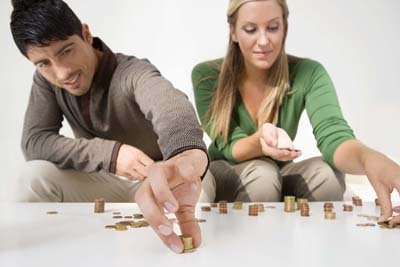 57 per cent save money each week or month with 17 per cent saying they will only save when they want buy something. Young people confront significant financial decisions relatively early in their lives in such ways as choosing a career, financing tertiary education, finding a first job, leaving home for the first time and beginning to save. Those who have a low level of financial literacy are at a huge disadvantage that can burden the rest of their lives as they may try and learn through trial and error. Young, financially-savvy investors have the powerful advantage of enjoying the rewards of investment compounding over the very long term as their investments – perhaps including their first salary-sacrificed super – earn returns on returns as well as the original capital.